I’ve been meaning to get to this for a couple weeks and finally have the time to sit down and write it up. There are a couple very good animated movies this season. I dragged myself out to the first movies I’ve been to the end of November and caught these. I’m glad I did. On Thursday, November 15, I decided to get out of work right on time (an unusual thing for me) to head off and see Wreck-It Ralph. I’m a big video game geek and heard it was a great show. The animation is great. I loved all the cameos they had in there. Among the ones I recognized and remember were the orange ghost from Pac-Man, M Bison, Zangief, Chun Li, Ryu and Ken from Street Fighter, Peter Pepper from Burgertime, the knight and ostrich from Joust, Qbert, Sonic, Bowser, and Tapper. It’s interesting watching Ralph aspire to the praise that Felix gets as well as being sad that the other people in the apartment building won’t even give him a chance to try to be good and when he isn’t bad (when he looks for a way to prove himself), he gets blamed for that. It’s hard not to feel for Ralph. Even at the “bad guy anonymous” meeting, he’s told not to bother. He really tries hard to do good, even dealing with Vanellope being a brat. It’s cool watching him show you can be a good guy even if you are forced to be a bad guy. On top of everything, it was interesting to see the character of Sergeant Calhoun come on with the voice of Jane Lynch. 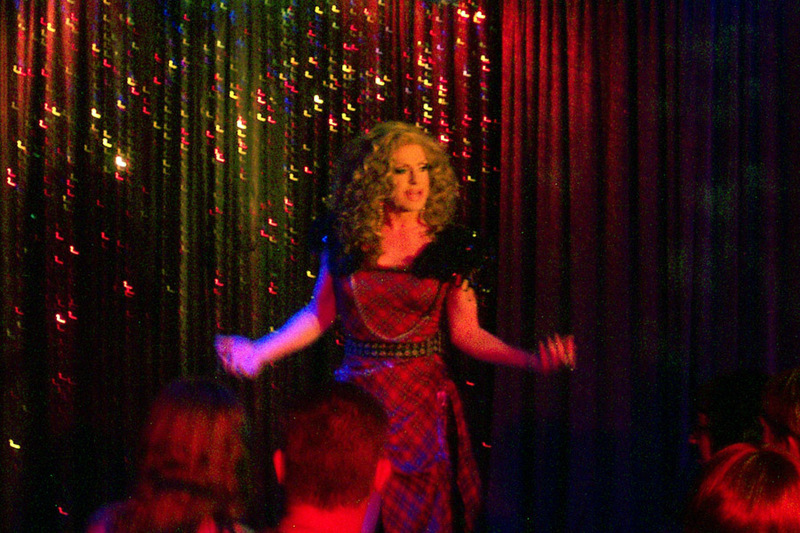 All I could hear was Sue from Glee when she was on though. The explanation of the character Turbo and how he ties into the whole story pops up in ways I never saw coming too. In the end, everything comes out for the good for everyone as you’d expect. It was interesting to watch the video game graphics through the credits as well with a little surprise at the end of a “video game glitch”. I should also note that the Steamboat Mickey at the start of the show was an 8 bit animation to go along with the show which was great. Rise of the Guardians opened on Wednesday, November 21, the day before my birthday and Thanksgiving, so I decided to treat myself. The great cast of voice actors makes this interesting. 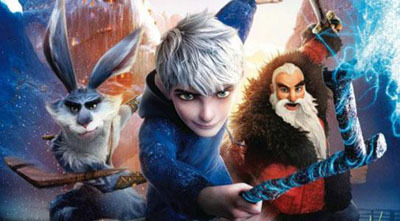 On top of Hugh Jackman as Bunnymund/the Easter Bunny, there’s Alex Baldwin as North/Santa Claus, Chris Pine (Kirk in the last Star Trek movie) as Jack Frost, and Jude Law as Pitch/the Boogey Man. There’s two storylines running parallel, The Guardians (North, Bunnymund, Sandman, Tooth Fairy, and the newly added Jack Frost) taking down Pitch as well as Jack trying to figure out who he is and where he came from. Jack is a playful characters who doesn’t like the idea of taking on responsibility. The counterpoint to him is the Easter Bunny who is all business and very serious. The Aussie accent and boomerangs make the character all the more interesting including Jack’s kangaroo joke and Bunnymund’s advertised “I’m a Bunny!” response. North (Santa with a Russian accent) leads the group and adds an interesting balance to everyone. Sandman and the Tooth Fairy are there for for plot points. Watching the characters fight for their faith in them is an interesting and sad process though watching them each trying to back each other up is great. (The battle to see which of the guardians can gather the most teeth is hilarious. Some of the guardians fall to the lack of faith. This is mostly sad tho the effect on Bunnymund (He loses his power and becomes an adorable little bunny.) is just cute not to go “Awwww”. Jack is the only one who is running without the faith but actually gains people believing in him later which helps the others get their faith back. The secret origin lied in his bravery while he was still human. As for the yeti and the elves, they each had great points of humor in their own right. While both animated movies and ones that I greatly enjoyed, the 2 films had different target audiences. 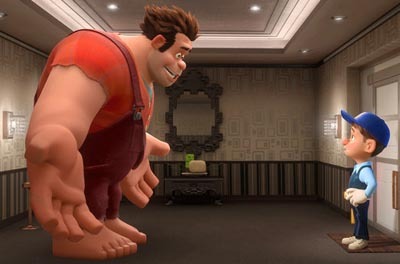 Wreck-It Ralph, while available to kids, seemed to be more for adults and especially older gamers who get all the references to old video games. There were a lot deeper storylines to it. Rise of the Guardians was definitely more of a children’s film with more slapstick style humor and simplistic storylines for youth to follow but still enjoyable for adults. I would definitely recommend both movies. If you can only go see one, I’d say see Wreck-It Ralph especially if you’re a gaming geek like me.